Recently, the mass detention of Muslims in Xinjiang, China has been gaining widespread attention and international condemnation. In the far northwestern region of China, Uighurs and other ethnic-Muslim minority groups have been detained by the hundreds of thousands, with one estimate putting this number at one million. Detentions are only part of a larger, longstanding history of ethnic unrest in the region. In the 1990s, Chinese academics advised the government against the use of the mosaic approach. The argument was made that mosaic policies had led to the breakup of the Soviet Union, by encouraging ethnic separatism. Subsequently, the Chinese government unapologetically adopted measures that targeted ethnic minorities in attempt to merge them into a broader national identity. Xinjiang has experienced a string of violent anti-government attacks by Islamist militants and separatists since 2009. Throughout the years, these attacks have increased tensions between Muslim minorities, including the Uighurs, and the ethnic Han Chinese majority. 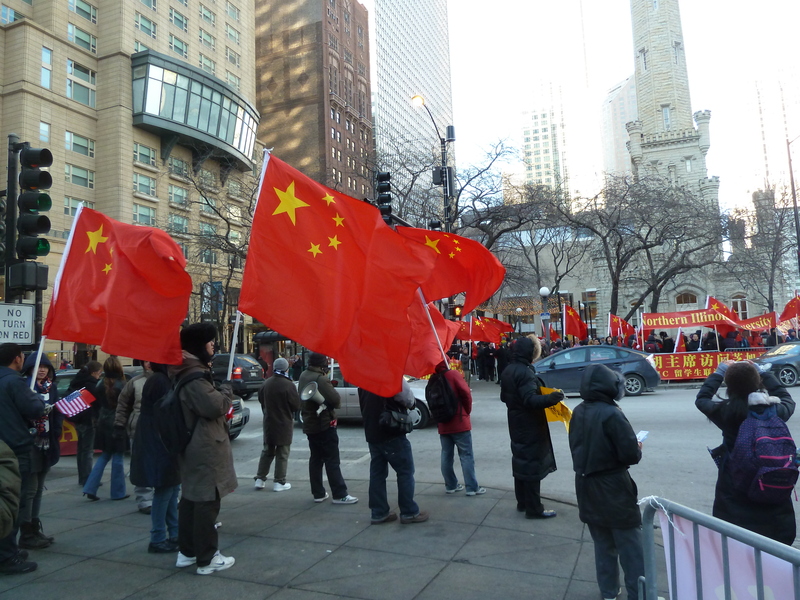 Deradicalization efforts have been implemented in response including policies aiming to turn ethnic minorities into loyal citizens and supporters of the Communist Party of China. By 2016, the perception was held that the deradicalization campaign was succeeding. However, Chinese officials provided much grimmer assessments, holding that Uighurs were importing extremist ideas from their travels to the Middle East. Ultimately, these allegations persuaded President Xi Jinping and other Chinese leaders to take more drastic measures. What initially began as an attempt to fight terrorism and separatism by strengthening Chinese national identity came to instigate the construction of detention camps. The government’s deradicalization campaign has become an all-out effort to fight extremism, implementing detention camps and coerced indoctrination under the unwieldy rule of President Xi. It is difficult to ignore the parallels between methods used in China’s campaign for deradicalization and those of Mao’s draconian rule. The deradicalization campaign’s sole focus upon the Xinjiang region has resulted in the most sweeping internment since the Mao era. Following international criticism, the Chinese government has shifted its position from outright denial to justification of internment. Chinese officials have described detention camps as a “transformation through education” program, arguing that the program provides vocational training and educational courses which mould ‘students’ into law-abiding citizens. However, officials have denied re-education, arguing that there have been no attempts at political indoctrination within camps. However, individuals with lived experience in the camps have described them as “virtual prisons that engage in harsh brainwashing.” Detainees are held for days, weeks, and months on end without criminal charges. Activities have entailed long days of marching, singing patriotic Chinese songs, and memorizing Chinese laws in an environment likened to that of an Orwellian dystopia. Much of the detail surrounding the camps remains unclear. Officials have been using legal justifications to cloak China’s betrayal of their own guarantees of rights and procedural prosecutions, as well as international law. The UN Committee on the Elimination of Racial Discrimination has criticized China’s “broad definition of terrorism and vague references to extremism and unclear definition of separatism in Chinese legislation.” This ambiguity makes ethnic and religious minorities vulnerable to criminal profiling even when peacefully exercising their rights. In China’s most extensive defence of the deradicalization campaign, Shohrat Zakir, chairman of Xinjiang’s regional government, even cited the UN resolution on fighting terrorism to justify policies and programs. Meanwhile, the Chinese government has prohibited foreign diplomats and journalists access to Xinjiang. Rather, they continue business as usual – expanding “transformation through education” camps, muzzling public debate, without legislative authority or any system of appeal for those detained. Globally, countries and international bodies have been paying close attention to the deterioration of human rights in Xinjiang. The UN and EU have expressed concern, urging Chinese officials to release detainees. More substantially, the US has considered imposing sanctions against Chinese officials and companies involved in the construction of camps. A proposal to use the Global Magnitsky Act of 2016 on behalf of US lawmakers, including Senator Marco Rubio and Representative Chris Smith, was sent to Washington. This act would entail the freezing of travel and assets of Chinese officials, subsequently escalating US-Chinese frictions over trade and military disputes to human rights. On the other hand, governments of Muslim-majority nations have refrained from making public statements on the issue. It is argued that these nations have remained silent in order to maintain beneficial trade relations currently in place with China. Furthermore, Xinjiang’s high-security measures have made it almost impossible to gather first-hand information in the region itself. Ultimately, it seems as though China’s non-intervention policy with regards to other states’ affairs is now paying its dividends.